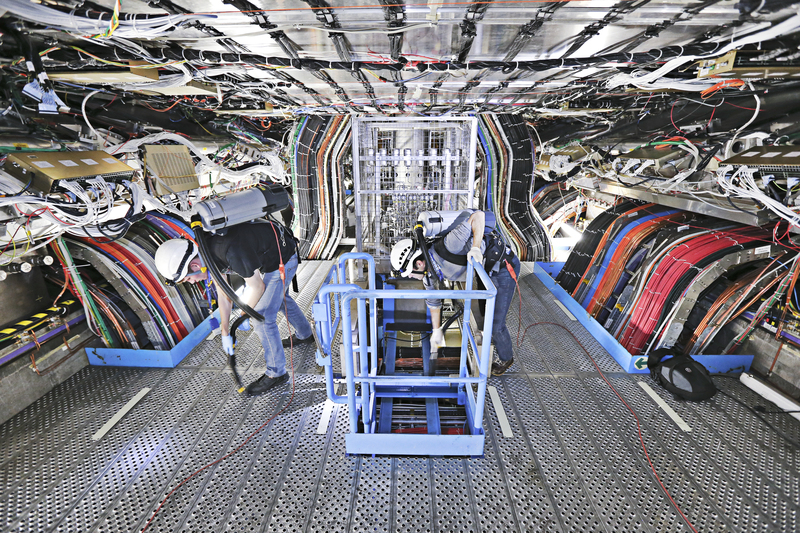 After completing more than 250 work packages concerning the whole detector and experimental site, the ATLAS and CERN teams involved with LS1 operations are now wrapping things up before starting the commissioning phase in preparation for the LHC restart. The giant detector is now more efficient, safer and even greener than ever thanks to the huge amount of work carried out over the past two years. Cleaning up the ATLAS cavern and detector in preparation for Run 2. The whole collaboration has started the countdown and looks forward to closing the detector in preparation for the start of the new run. But, yes, there is one drawback: the very popular experimental site, which has welcomed over 37,000 visitors in two years, will no longer be open to visits until the next long shutdown. That’s the price to pay for doing physics! Starting Friday 28 November, further training quenches will be carried out in Sector 6-7 (see LS1 Report in the last Bulletin for more about Sector 6-7's milestone quench). Meanwhile, at Point 8, teams are currently resolving an issue with a cryogenic installation and carrying out maintenance of the cooling and ventilation systems. CSCM tests have been completed in Sector 4-5 and are now starting in Sector 3-4. In Sector 4-5, the cool-down from 20 K to 1.9 K is progressing smoothly and has recently been completed in Sector 2-3. ELQA tests are in progress in Sectors 2-3 and 7-8, and powering tests are in progress in Sectors 1-2, 5-6 and 6-7.